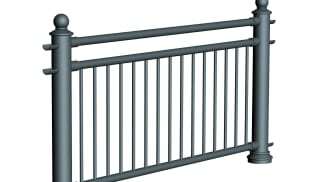 Install effective barriers that protect property and people with Marshalls’ guard rails. Whether you need to add safety measures at the roadside or warn of dangerous edges in a seafront scheme, a robust pedestrian guard rail offers a reliable and long-lasting protective measure. To get the look of traditional cast iron railings for a fraction of the cost, choose guard rails in Ferrocast polyurethane. Perfect for waterfronts, they protect the perimeter without detracting from the view, and their hard-wearing finish ensures they won’t corrode or rot. If you’re looking to use guard rails to bring a new element to your scheme, choose stainless steel with an LED-illuminated balustrade for heightened safety. 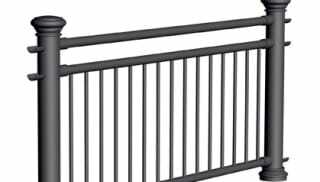 Available in a range of designs, our polyurethane, concrete and steel guard rails come in modular configurations that can be perfectly tailored to your project. Marshalls can also provide bespoke guard rails on request.